I read this article and found it very interesting, thought it might be something for you. 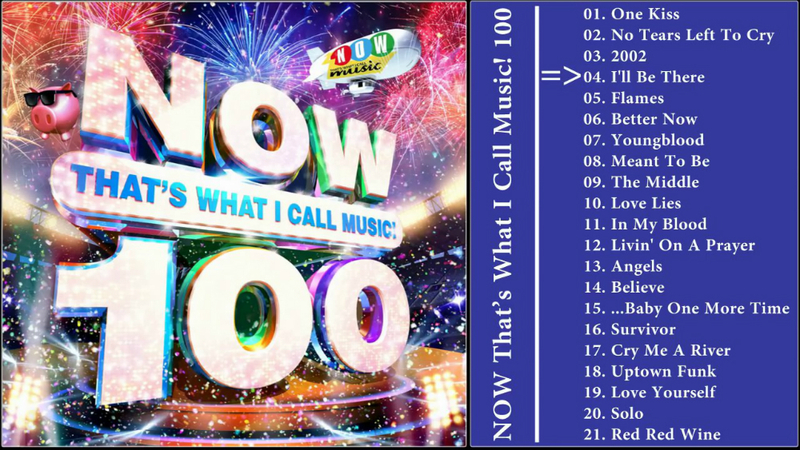 The article is called Audio Review: Various Artists – Now That’s What I Call Music 100 and is located at https://www.totallydublin.ie/music/music-reviews/audio-review-various-artists-now-thats-what-i-call-music-100/. Billed by their own press release as “A Landmark Moment in the History of Popular Music”, the release of the very special centenary edition of NTWICM! sees their curatorial cognoscenti rolling out all the stops. As is routine, the collection is spread over two discs. This time though, the first disc runs through the biggest tracks of the moment, while the second half concerns itself with NOWstalgia (shudder), as they revisit some of the hits of the last 35 years. Considering the fact that streaming providers now routinely publish playlists that serve the exact same purpose as NOW!, not to mention the sheer amount of pop music that is consumed via YouTube, physical compilations like this feel about as incongruous within the culture as the series’ sunglasses-wearing pig mascot. I say “feel”, as, according to officialcharts.com, NTWICM!100 is well on its way to becoming the UK’s fastest selling record of 2018 with 105,000 copies sold in the three days following its release. Frankly, is there anything more to say? It’s the name, not the content, that sells these things. Somewhat inexplicably, it’s still working. So, in the interest of saying something, ANYTHING: it’s a complete outrage to include Kylie’s ‘Can’t Get You Out of My Head’ ahead of ‘I Believe In You’. I’d even have taken ‘Slow’. But what do I know? I’ve never even heard of Jonas Blue and Jack&Jack.